I took one last look at the Empire State Building – majestic on it's street in New York. Now devoid of activity – it was silent and doomed. The atmosphere was tense, nerves frayed as someone hissed a warning not to speak. The experts put the finished touches to their strategically placed explosive charges and there was an air of conspiracy; much rode on this moment and as the countdown continued relentlessly, there was no turning back. Soon we would know if the weeks of elaborate preparation were going to pay off. Suddenly there was an ear-splitting explosion and I watched in fascination as the world-famous triumph of architecture disintegrated into a million fragments and was gone forever. We all heaved a sigh of relief: Mission Accomplished. All we had to do now was to cut and print. 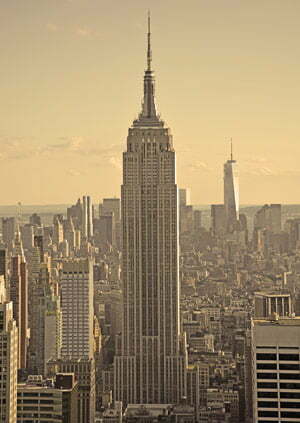 It was true, we had blown up the Empire State Building: perfect in every detail, a work of art, but only 18 inches high! This was, of course, a scene from one of the Thunderbirds episodes. In our miniature world just about anything could happen and usually did, both in front and behind the camera. Little did we know that our fiction would become fact with the events of 9/11, some 40 years later. As well as TV and Radio guest spots Sylvia has hosted Film School events with presentations illustrating her film and TV career followed by Question & Answer sessions.